You Matter is a remarkable training course for teachers, teaching assistants and therapists that brings together parents of children with significant speech difficulties and their supporting professionals. You Matter has now been been fully updated with new case study material. For children with significant speech difficulties, it’s the parents who can hold the key to developing effective communication for their child, if they are provided with the appropriate support. The You Matter course brings together families and professionals on an equal footing in order to provide practical and positive ways forward for the children’s AAC (Alternative and Augmentative Communication) needs. It gives families the tools and the support needed to set their own goals, solve their own difficulties and become active decision-makers in supporting their own child’s communication. Developed by therapists across three counties, You Matter provides an opportunity for professionals to learn from other disciplines, and gives families the platform to share practical experiences for the benefit of all involved. The course requires the minimum of preparation. 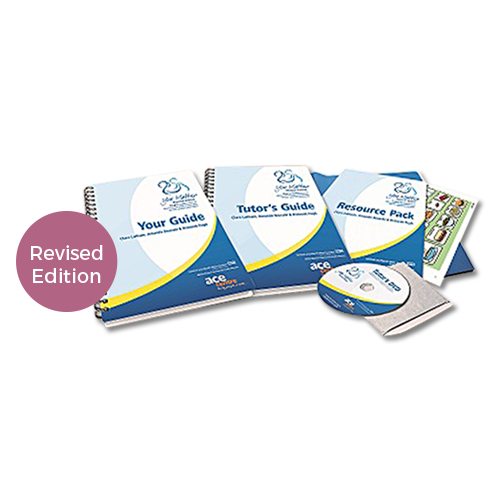 All of the materials and handouts are provided, including Powerpoint presentations, feedback forms and video resources. You Matter is divided into eight short sessions to be run flexibly, for example, over two full days or four morning, afternoon or evening sessions. The first session aims to introduce participants, draw out their hopes and concerns, recognise the pressures they may be under and explore their expectations of the course. Overall aims for the course will be agreed during this session, matching what the participants want to gain with the information provided within the course content. How participants’ communication will change as the child gains skills. After the first three sessions, participants can be offered the opportunity to be videoed at home or in school with their child. The aim is to help participants to review their own style of interaction as well as express privately any concerns they may have about their child using aided communication. The difficulties faced by children using aided communication when learning to communicate through their system. The different types of communication we all use. How the participants’ role changes as the child gains skill. These sessions bring in feedback from the video sessions, looking at where perceived communication problems lie, and address areas the participants choose to focus on. Session Seven finishes by discovering participants’ longer term aims for their child’s communication and looks at setting achievable goals for the future. The final session is an additional half day which looks at each child’s personal aided communication system. Participants need to bring in their child’s system and either the appropriate communication aid supplier or someone who is familiar with the different systems needs to be available. It’s a session for participants to gain confidence with the programming of the systems, and/or the creation of pages or other low tech materials. A variety of activities are included during the course for participants to investigate some of the issues through working together in small groups. The course is the outcome of the You Matter project which was carried out as part of the Becta Alternative and Augmentative Communication (AAC) Innovative Projects funding stream. The project aimed to highlight the importance of providing training for parents and closely-involved professionals in supporting a child using aided communication. There were two very different models of training courses, each offering contrasting perspectives on how parent-directed training could be successfully delivered. As a result, the project has developed a range of ideas for putting training into practice leading to the same desired outcomes for parents, professionals and ultimately the child. During the training, all those taking part were asked to provide extensive feedback to inform this structure of the course. In addition, opportunites for in-depth discussion were provided during workshops which followed the delivery of the courses. These workshops included managers of services as well several lead/highly specialist speech and language therapists who had been delivering.